Faculty can register to have conference fees covered. 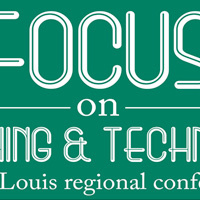 The Faculty Development Center (FDC) announces the opportunity for St. Louis-based Webster full- and part-time faculty to participate in regional teaching conferences with registration fees covered by the FDC, a $100-$300 benefit to Webster faculty members. If you are interested in attending, please contact Elvir Mandzukic at askfdc@webster.edu at least one working week prior to the conference.